Hi Tassie, welcome to the GGBB! Yes, please do post the photograph (using the attachment option available below; you can only attach one file per post, so if you wish to post both just post twice). Hopefully we'll be able to supply you with some information about the hospital. I was sorry to hear about George - my grandfather fought in North Africa also at that time and we were very fortunate that he made it home. Just yesterday, my niece and I were going through his medals and, when she asked about them, I explained to her the great sacrifice made at that time, when only men like George and the other soldiers, sailors and airmen of the Bristish Empire, stood between the Axis powers and what would have been a horrific victory. Many thanks for your fast response to my posting. I'm not new to computers but new to BB's and to receive a quick response such as yours was just mindboggling. I have had some of George's letters home for some time and in a letter dated 31st Aug 1940 he indicates that he along with several others in his group were in hospital. As family historian I was given the photos yesterday by my only surviving brother now 84 and I came home and started thinking what I could find out about them.. So here I am. I will only put the one on line for the moment as it has the best detail for the given file size. The other is rather spoiled in that the soldiers are all wearing hats and it is difficult to recognise faces. When I have a few moments I will transcribe a few pieces from the letters that may be of interest. Considering the age of the photo. It is really very clear..
My mother-in-law was one of the "Cleaners" in the Hospital.. I live just round the corner from it.. (or where it was).. .. Directly across fom it is a Fire station.. and School.. and.. a Driving Test Centre... Ironically. there is also a Speed Camera.. 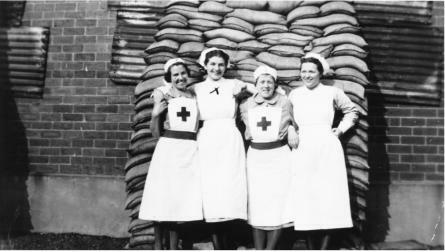 When you consider that the Hospital is actually less than a 10-minute drive from Clydebank.. and that Clydebank was heavily bombed during the war.. You can understand the "Heavy" sandbagging...... A few bombs did land in Knightswood... One of them.. just along the road at Bankhead School.. However... this photo is of Knightswood Road.... which ran from Anniesland Road up to Knightswood Cross.. If you look at the first photo I posted here.. with the "New Houses".. They are on Anniesland Road.. Knightswood Road is at the far end of those houses.. The main Entrance to the hospital was in this road.. The wall on the left.. in the old photo.. posted here is.. the wall that surrounded the hospital.. It looks like the photographer would have been standing just outside the entrance. Part of the wall is still standing now.. Thanks for the last. I have only just had time to respond as I have been away. I have read the Clydebank story you pointed to. To think that this story was repeated all over Britain is horrendous. As I indicated on my first posting I wasn't born until after George's death so my own memories are rather limited. I can remember some stories about rationing, blackout and I can remember where the shelter trenches were at my school but that is about all. WW2 was taught when I went to school but it wasn't until 1996 when my wife and I spent 7 months caravanning around Mainland Australia that we found just how much we didn't know about the war as it applied to Australia itself. Evidence of airstrips, and roads 100's of miles long that had been hastily built to aid the war effort and the extensive military complex that was set up on the northern coast of Australia is still there. In and around Darwin old military installations still stand and there are several places where one can see photographic and some physical evidence of the damage that the area incurred. Of course we didn't suffer the same civilian casualties that the Great Britain did. I am hoping to get some more detail about George's visit to Scotland in a few weeks time. The site details the history of the memorial and its individuality.. If you want to know more about this area of the world follow some of the links on the page. 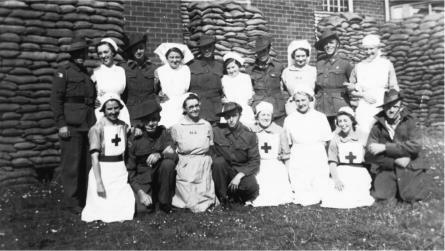 Hello Tassie: I have followed your postings regarding the Aussie soldiers hospitalised in Knightswood during WWII with some interest. I can understand your wish to learn a bit more about your brother George's sojourn in Scotland, especially after him losing his life the following year at Tobruk; but as you mention, the chances of someone recognizing one of them is pretty remote... yes, the Aussies among them would indeed appear somewhat different from the photographs, but it was worth a try. I can imagine your feelings at having conducted the service at the Anzac Memorial in Winnaleah in recognition of this year's Anzac Day. It was certainly an honour for you to perform the service, deservedly so, as the sister of an Australian soldier who died at Tobruk. When I was at school in Govan, Glasgow, during the war, I remember being at an Armistice Day service in the school, and wishing, somewhat enviously, I had been the student who had the privilege of providing a prepared address as part of the service. He was one of the senior students in the school and did an excellent job while I, one of the junior students, could but stand and listen... with I'd guess, a wide open mouth. Being recognized as you were, is no small achievement Tassie... Good on you!... as they say in Australia.  I thank you for sending the website regarding the service at Legerwood. I think I'd rather have attended your service at Winnaleah rather than, the apparently more popular one, at Legerwood. I had a look at the Lagerwood website . The Legerwood memorial was a brilliant idea-- to remember the dead by means of something living was not only a novel idea, but a very meaningful one too.... I'm speaking of the original memorial Tassie, the tall beautiful flourishing living trees, not of the dead sculptured ones. Let me say in closing Tassie, that a visit to admire the artistic work in Lagerwood would certainly be worthwhile, but as a war memorial I'd have much preferred to have joined the other 70 people in Winnaleah who had gathered in the pre-dawn darkness simply to join you in remembering. Bit late, but I thought this may be of interest. Knightswood Hospital, early 1960's. We moved to Hermitage Avenue, Knightswood, four years after WWII, and our back garden looked on to the Knightswood Hospital. It was a lovely area. Thank you for those beautiful photos Tassie. It was quite a difference living in Knightswood, from Maryhill. It was wonderful not having to get out of bed for the air raids. Living in Knightswod was like living in the country after WWII. I never heard this story, Annie. about banana babies (?). It's a new one for me. I have heard of Stobhill Hospital, but I don't remember exactly where that was (?). I have been away from Glasgow since 1958, and later emigrated to Canada in 1966. I still have family living in Knightswood.